Scrible is a very good productivity tool every research student should have. It provides you with various tools and features that enable you to curate online content, bookmark websites, store files, annotate and share webpages and PDFs. 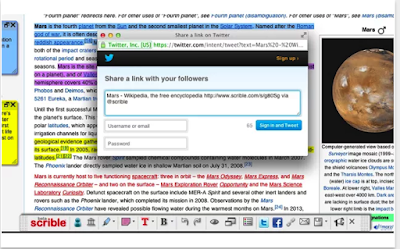 You can use Scrible to annotate content on a webpage or PDF. You can add comments, highlight passages and share your annotated content with others through email or social media websites. Everything you curate and annotate is saved to your library in Scrible. You can organize your library with tags so you can easily find your saved content. Scrible also provides an excellent PDF viewer and annotator which works from your browser. Students can use it to load or upload PDF documents to work on. 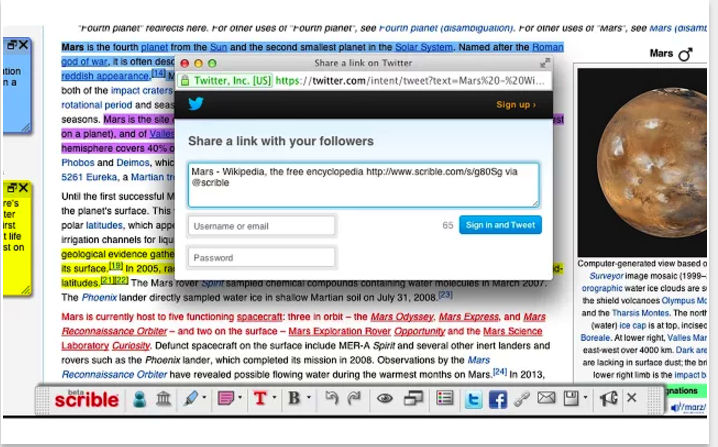 They can use Scrible’s annotation tools to highlight and add comments. They can share PDF documents with each other and be able to see who is viewing the shared PDF, reply to comments and see annotations in real-time. 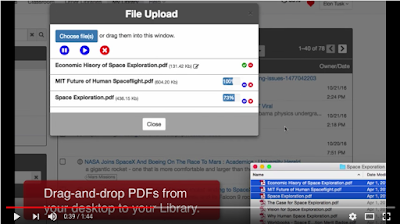 Watch the video below to learn more about Scrible PDF Viewer/Annotator.